Trick or treat everyone! Brought to us by Gabrielle Desmarchais Photography, today’s Hallow’s wedding story has a little bit of both in its table spread of agate crystals, midnight wax candles, suspended upside down bouquets and bone inspired centerpieces. Le Coeur Bohème played up the haunted enchantment of this holiday with dark moody tones that are lit by delicate gold accessories inspired by the stars. Everything about this shoot looks mysteriously inviting, but we will say that those sweet confections may not be as sweet as they seem. Wink wink! From the stylist, Le Coeur Bohème: Just in time for Halloween, our fave time of year, we put together an awesome moody hallows eve styled shoot. We were first inspired by an enchanting spruce plantation forest on our neighbors’ property – but we also wanted to mix it up by shooting in our newly renovated white barn. We wanted a dark and moody vibe with a fall harvest tone. Our jewelry designer included pieces from her newest collection inspired by stars and constellations. She even created the custom headpiece at 3am! The dresses chosen had thick lace that mirrored in both the gown and two-piece set. The pale skinned redhead juxtaposes against the olive tone black haired model, and tarot cards were the inspiration behind the paper goods. 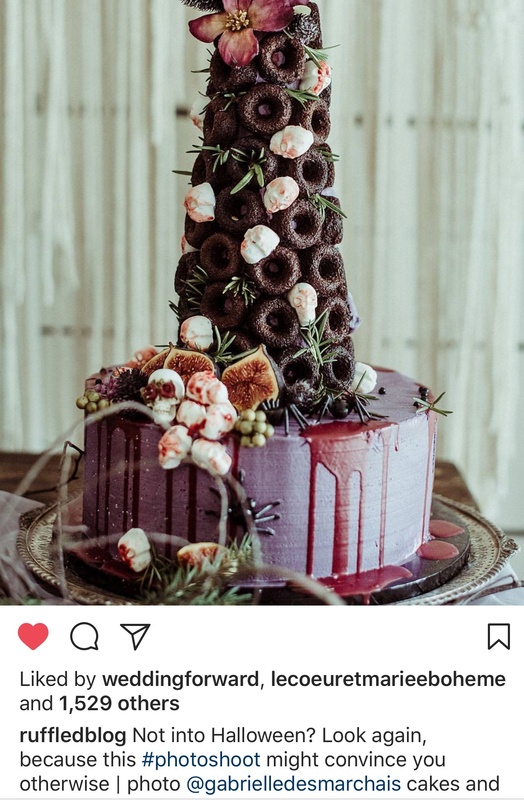 Spooky skulls and spiders decorate the cakes, and we incorporated unique seasonal foliage and local flowers for the bouquet. Paper Goods: Someday Art Co. Thank you so https://uploads.disquscdn.com/images/38353c0cedaf0e590b53d49559dd571339e408c37741da30e496f3c813a036a0.jpg https://uploads.disquscdn.com/images/56db8dbf24ee7f3b65d345adac9bd4610f7714ae7f4ab151c8989292c8282ed4.jpg much for publishing the team amazing work. As the founder and designer of little Leah’s kitchen I thank you for publishing two out of three cakes I have done for this gorgeous shoot. One thing I ask to please edit your Instagram posts where you included two of @littleleahskitchen cakes and gave credit to two baked for them where the full credit should go to only one cake maker and designer that created both pcs. 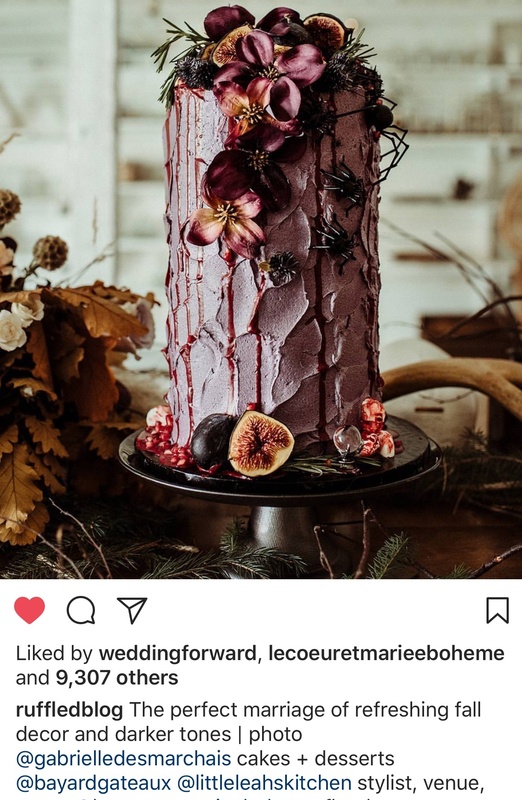 Looking forward to see the correction made ASAP since it is causing a lot of confusion with many wedding bloggers that are re-posting and crediting the wrong person.